Granite State Growler Tours offers guests a unique local brewery adventure. Hop on the bus with 12 of your new best friends and let "Greta the Growler Getta" transport you to fine craft breweries on New Hampshires historic Seacoast. Experience local legends, lore and mystery. Tales of folklore, ghosts and mysterious history with author and historian Roxie Zwicker. New Hampshire's only ghost tour. Join Jeremy D'Entremont for a van tour of some of New England's most beautiful and historic beacons. Portsmouth's only guided bicycle tours. 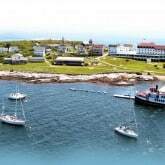 Discover the magnificent Seacoast and the area's rich history. Spend a few hours enjoying picturesque streets, lush parks, antique gardens, and historic forts, homes and public buildings. Or spend the morning on a guided tour along the beautiful shore. Portsmouth has been home to Africans and African-Americans for more than 350 years. The Portsmouth Black Heritage Trail visits places where black residents lived, worked, prayed and celebrated over the centuries. Portsmouth boasts 400 years of history, culture, architecture, and scenic beauty, and you can see it all along the Portsmouth Harbour Trail. Portsmouth Kayak Adventures offers kayak rents, kayak and stand-up paddle board tours led by lead by professional guides and basic instruction, and bike rentals.